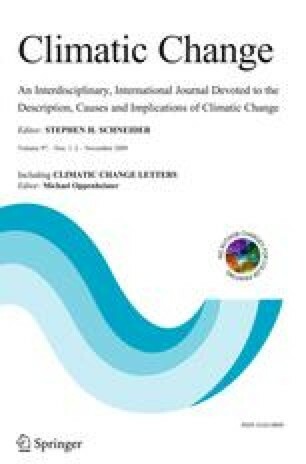 IPCC Fourth Assessment Report (AR4) discloses that the global climate system is undoubtedly warming. Observations have shown that many natural systems, including hydrologic systems and water resources, are being affected by regional climate changes, particularly temperature increases. Eventually, these effects will have to be considered in water resources planning and management. Accordingly, need is indicated to evaluate the impact of expected climate change on hydrology and water resources at regional and local levels. The presented paper summarizes the results of the sub-project studies under the United Nations Development Program-Global Environment Facility (UNDP-GEF) Project. The studies cover the generation of climate change scenarios, modeling of basin hydrology, and testing the sensitivity of runoff to changes in precipitation and temperature. Simulation results of the water budget model have shown that nearly 20% of the surface waters in the studied basins will be reduced by the year of 2030. By the years 2050 and 2100, this percentage will increase up to 35% and more than 50%, respectively. The decreasing surface water potential of the basins will cause serious water stress problems among water users, mainly being agricultural, domestic and industrial water users.